A general overview of each of the 20 lessons is included as well as questions and conversation starters you can use at home to reinforce the learning goals of the curriculum. 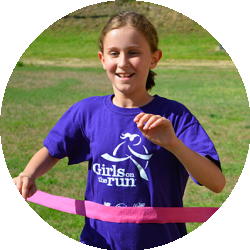 By stimulating conversations that build upon each lesson topic, we hope to further weave the Girls on the Run mission into the daily lives of the girls and the adults who care for and love them. Click here for a Grown Up Guide sample. “A Mighty Girl is the world’s largest collection of books, toys, movies, and music for parents, teachers, and others dedicated to raising smart, confident, and courageous girls and, of course, for girls themselves! The site was founded on the belief that all children should have the opportunity to read books, play with toys, listen to music and watch movies that offer positive messages about girls and honor their diverse capabilities." Your daughter looks up to you and what better way to make her even more proud than to hit the pavement to run your first 5k with her at your local Girls on the Run end-of-season 5k. Not sure where to start? Your daughter isn't the only one that deserves an amazing support system, you do too! Join the Black Girls RUN! 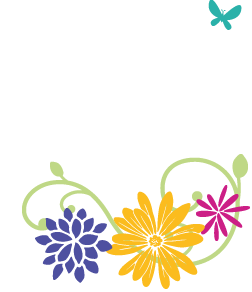 Movement!...a running organization dedicated to getting all women active and healthy. With 70 groups and more than 150,000 members nationwide, we'll help you train for your first 5K step-by-step. To learn more about Black Girls RUN! or to find a group near you, visit www.blackgirlsrun.com. Common Sense is dedicated to helping kids thrive in a world of media and technology. To help kids keep their online interactions safe, productive, and positive, this site offers up-to-date research and guidance on social media basics. Learn about the latest apps and websites, and get tips on talking to your kids about sharing, posting and avoiding digital drama. Making Caring Common (MCC) helps educators, parents and communities raise children who are caring, respectful, and responsible toward others and their communities. MCC uses research and the expertise and insights of both practitioners and parents to develop effective strategies for promoting in children kindness and a commitment to the greater good, to influence the national conversation about raising and educating caring, ethical children, and to develop partnerships that elevate the MCC message. The National Eating Disorders Association is dedicated to expanding public understanding of eating disorders and promoting access to quality treatment for those affected along with support for their families through education, advocacy and research. The Together Counts program is a nationwide program inspiring active and healthy living. Together Counts was started by The Healthy Weight Commitment Foundation, a CEO–led organization, that is a national, multi-year effort designed to help reduce obesity, especially childhood obesity, by 2015. The website features a blog and home, school and community focused resources. If you're interested in seeing your website listed as a resource, please email info@girlsontherun.org.